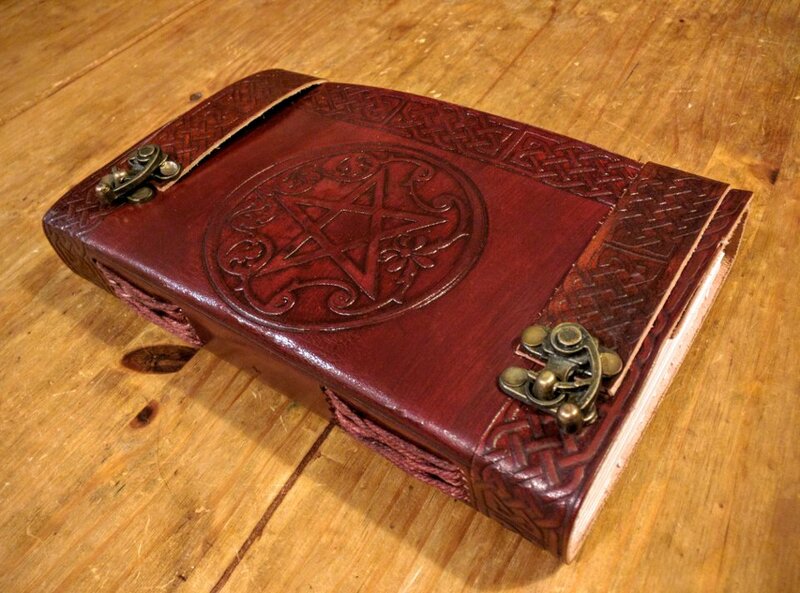 I have spent the better part of the day collecting journal entries, Google+ posts, and random scraps of writing and laying them out for eventual transfer into my personal Book of Shadows. To this point, I've been using a notebook in Evernote as a sort of mystical filing cabinet. I bought a leather bound journal back in January at the Hoggtowne Medieval Faire, but I really want this Book of Shadows to be a bit more like a book than a traditional journal, so it makes sense to me to do my initial "scratch" writing elsewhere for eventual organization into something more comprehensive, coherent, and handwritten. Also, throughout my life, I've done most of my writing at a keyboard, so trying to write with pen and paper would just be increasing the difficulty level unnecessarily. As of this moment, I already have 48 pages of typewritten material. As I mentioned, I'll be filling in my Book of Shadows by hand with a pen, and it occurs to me that I should count the number of pages in my tome and do some test runs of how typed pages match up with my handwriting. I think I still have plenty of space, but I really want to get this right. It's really rewarding to see that the results of the Religion Project are both tangible and prodigious. As a writer, this is already my longest single work, and I'm enjoying every step of the process.